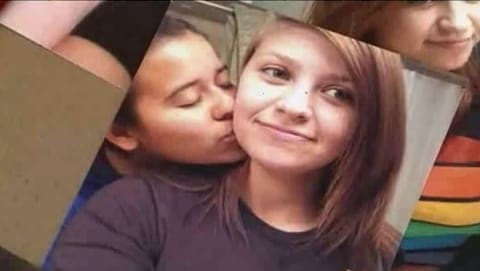 On Friday, authorities arrested the man they believe is responsible for the shooting of a teen lesbian couple near Corpus Christi, Texas two years ago that left one of the girls dead and the other in serious condition. David Malcolm Strickland, 27, was arrested Friday by U.S. Marshals and Texas Rangers in the San Antonio suburb of Helotes, local media reported. U.S. 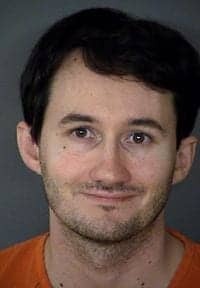 Marshals, Texas Rangers and the police officers from Portland, where the attack occurred, detained Strickland and his wife, Laura Kimberly, 23. He is facing charges of capital murder, aggravated assault with a weapon and aggravated sexual assault in the June 23, 2012, attack on Mollie Olgin, 19, who died in the shooting in Portland on the Corpus Christi Bay. Olgin's girlfriend, Kristene Chapa, then 18, survived. His wife faces charges of tampering with evidence.